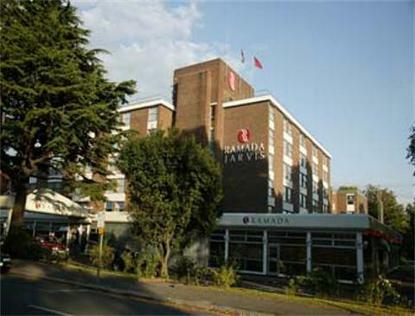 A modern purpose built hotel in pleasant surroundings overlooking Ealing Common. 189 Rooms, Studios, Separate Desk, Internet Access, Interactive Television. Hotel is Completely Non Smoking. Arts Grill, Lounge Service, Arts Bar. 9 Conference Rooms for up to 200 Guests. Guest Parking. Overnight guests GBP 4.50, Day Delegates GBP 2.50. First 1/2 hr free. First 3 Hours GBP 2.50, up to 9 hours GBP 6.00, up to 24 Hours GBP 12.00. Extra Bed and Cot on Request Basis only. All Ramada Jarvis Hotels offer a media package in all rooms. This package includes High Speed Internet Access and 24 Hour movies. This is payable at the Hotel or Complimentary in Executive DL2 Rooms. Please find our Childrens Policy. A child is between 4 and 15. Under 4, No Charge. Children sharing adults room pay for food as taken. Children in their own room pay 50% of the adult rate. Midweek, the same rules apply with adult paying single supp if applicable. During the Christmas and New Year period some of the hotel Food and Beverage outlets will be open at different times from the normal published times. There are also some restrictions to menus offered on certain days, please contact the hotel directly for full details.